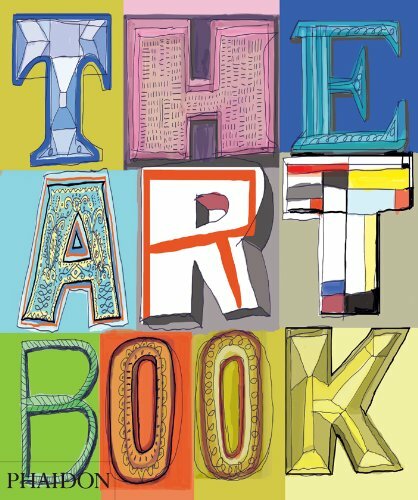 The Art Book is a delightful collection of art, mostly paintings but there are also some art installations and sculptures. This 2012 edition has added 100 new works to the 1997 edition. It's a 592-page hardcover and it's really heavy. They used low gloss thick paper for the book, Wonderful. The artworks are arranged by their creators in alphabetical order. That's great compared to chronological order because it really mixes up the style that you see on every page, instead of viewing styles from the same period. Each artist has only one piece of work featured, so this book is a sampling of art that has been created over the years. The art pieces featured are fantastic. I'm also quite bemused by quite a few pieces of art that are mostly flat colours and shapes but are regarded highly. It's interesting to see the different ideas presented. The Art Book is awesome and inspiring. Highly recommended.